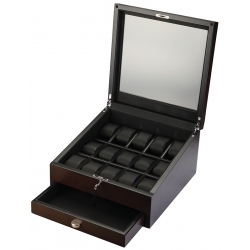 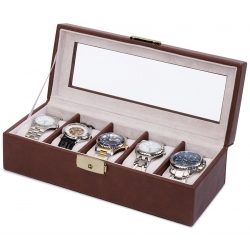 High-quality craftsmanship and stylish design are combined in this five watch brown storage box L263, a member of Portman series produced by Rapport London. 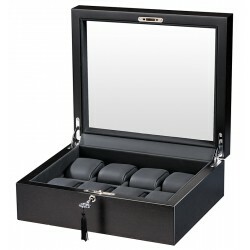 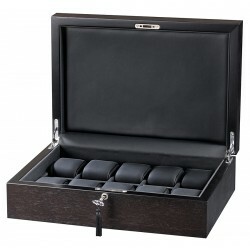 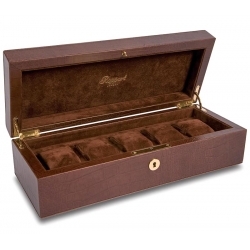 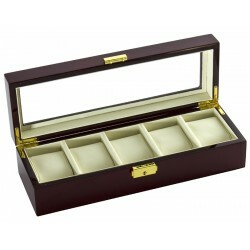 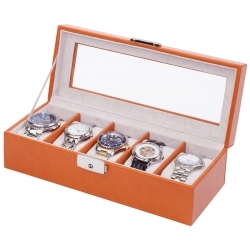 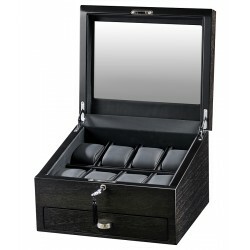 The unit is designed to keep up to 5 watches in tact and place. 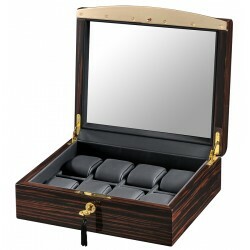 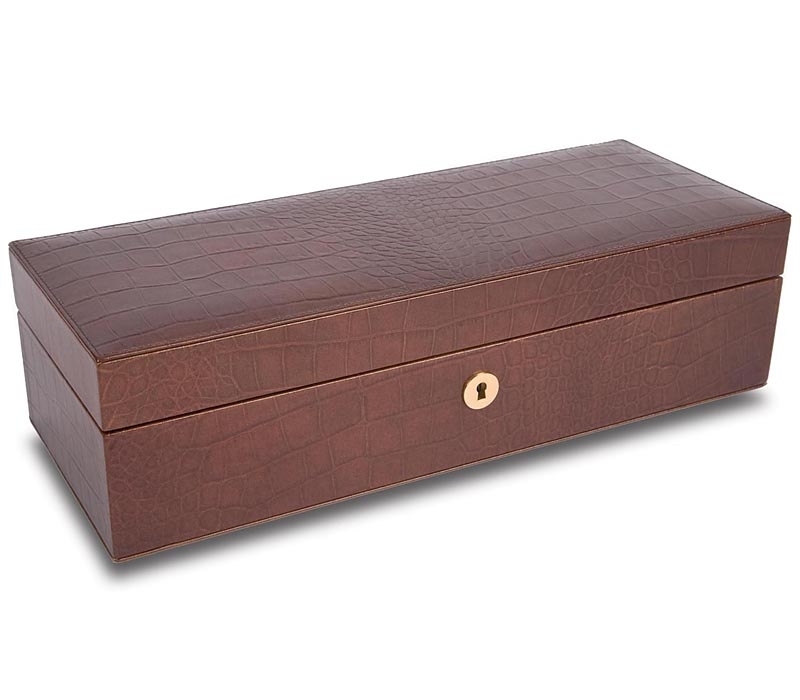 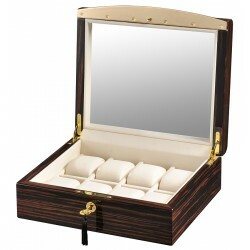 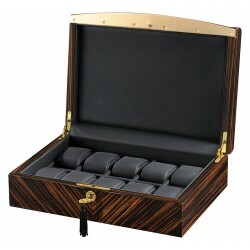 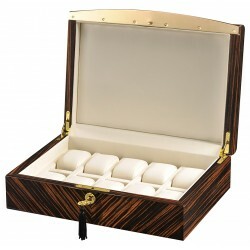 It features fine brown leather embossed in crocodile pattern exterior, and matching brown velveteen interior. There are five removable padded adjustable pillows to hold the pieces of any case diameters. 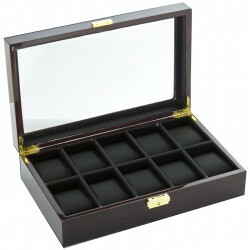 It measures 360 mm in width, 140 mm in depth and 90 mm in height. 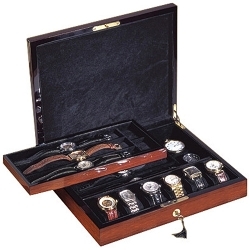 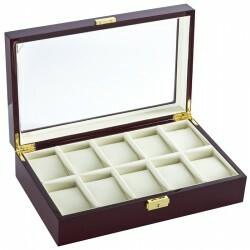 The travel case can be securely locked with a supplied key. 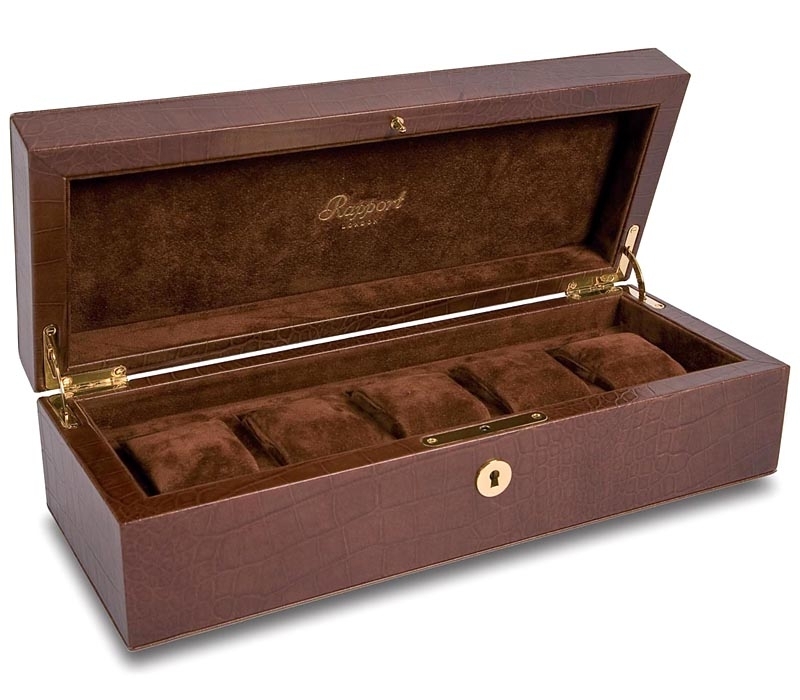 We are an official dealer of the brand. 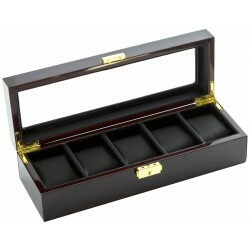 So you get factory warranty and free domestic shipping for this item.